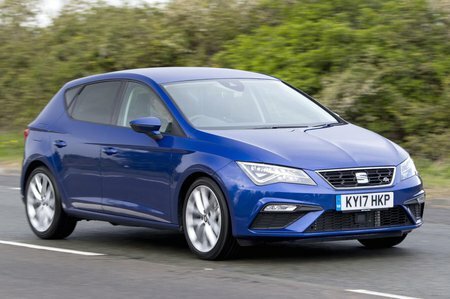 Seat Leon Interior, Sat Nav, Dashboard | What Car? You shouldn’t have any problems getting comfortable in a Leon. 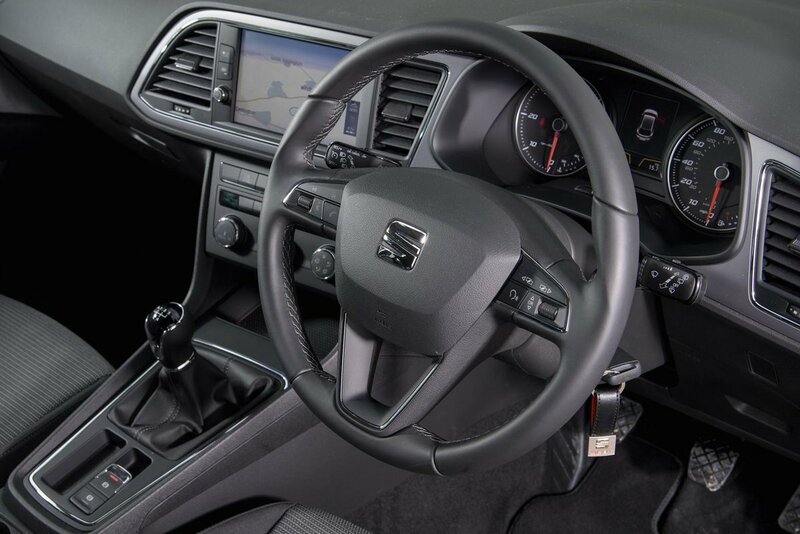 The steering wheel moves extensively in and out, as well as up and down, while the driver’s seat has a good range of movement, including height adjustment as standard on all editions. 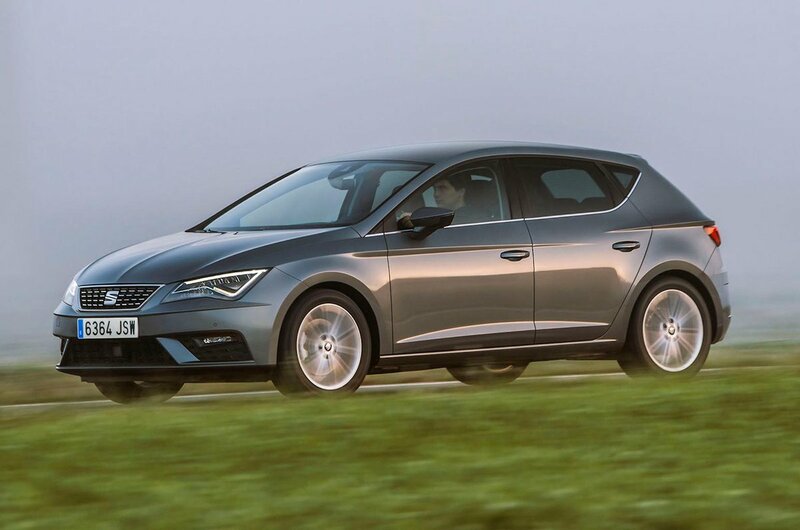 The FR Technology, Xcellence Technology and Cupra models get a sportier seat with extra side support, while lumbar adjustment and a height-adjustable front centre armrest are standard on all but the entry-level S model. All the major controls – for the heating, ventilation and infotainment systems, for example – are positioned within easy reach. The instrument console contains a small digital display between the rev counter and speedometer that, on higher-spec models, offers a range of useful information, such as fuel range, a digital speedometer and average fuel consumption. The view ahead out of the Leon is hard to fault, making it an easy car to place on the road generally. Reversing it is trickier, though, because the thick rear pillars are pretty occluding; the same is true for most of its rivals, mind, including the Volkswagen Golf. Rear parking sensors are standard on the business-spec SE Dynamic Technology and FR Technology, while Xcellence Technology and Cupra trims come with parking sensors both front and rear. A rear-view camera is an option, except on the entry-level S trim. Entry-level S models get a 5.0in colour touchscreen, including Bluetooth, mounted high in the centre of the dashboard. It’s a pity you can’t add a DAB radio or multi-function steering wheel to this model, though, as options. Both feature from SE Technology trim upwards, along with sat-nav, two USB sockets and a larger 8.0in touchscreen. The system is, on the whole, intuitive and responsive. However, it tries to be clever by hiding some of the on-screen buttons until it detects your finger moving towards the screen, at which point those buttons present themselves. It’s a bit annoying and occasionally you find yourself waiting for the buttons to appear. More generally, some of the icons are quite small or situated inconveniently close to the edge of the screen, making them tricky to hit while driving. And it’s a shame that there aren’t more shortcut buttons running down the side of the screen – something you get in a Golf and Skoda Octavia. Ultimately, a rotary controller, such as the one you find in a BMW 1 Series or Audi A3, is a much less distracting interface to use on the move. The Leon’s dashboard is smart rather than plush. The major touchpoints feel fine – all models bar the standard S have a soft leather-covered steering wheel and gearknob - but there are signs of cost-cutting. It’s not hard to spot harsher materials around the interior, a few sharp edges around the seat bases and some brittle-feeling plastics around the rear door handles. It all seems well put together, though, and the VW Group-sourced switches and buttons feel robust. Ultimately, it looks smarter than a Ford Focus but not quite up to Golf standards. Considering the price differential to the Golf, that seems fair enough.